Last month, my oldest son asked me if I would play Mass Effect. “Oh…okay.” So we sat down in front of the TV and he handed me the XBOX controller thingy. Now, mind you, the only experience I’ve had using this controller is when I watch episodes of Call The Midwife or The Walking Dead on Netflix while I’m exercising on the elliptical – and all I have to do is press the A or B button. “Thanks,” I said with a smile, happy that he’d noticed. I looked back at the screen and felt my smile dissolving. I didn’t know whether to be flattered or horrified. “Um…her jumpsuit’s kind of tight, isn’t it?” I asked, staring at her chest. “It’s not a jumpsuit, it’s a uniform,” he said, sounding annoyed. First stop for Commander Shepard, and her voluptuous assets, was a planet under attack. We went through the Mass Relay and took a shuttle down to the planet. The Mako resembled a moon rover, but with lots of upgrades. I can drive a minivan, so this shouldn’t be too hard. “Get inside it,” my son said, pointing at the screen. Easier said than done. Remember what I said earlier about my experience with XBOX? I move Commander Shepard behind the Mako, under the Mako, in front of the Mako, and on top of the Mako – but can never seem to get her inside the Mako. My son shook his head and sighed. “Here.” He pressed a button, and boom – I’m inside. So off we go, driving around the planet – or in my case, driving as if I’m drunk around the planet. Navigating the Mako is proving to be a difficult task. After running over several innocents and lots of rocks, we finally reach our destination and get out. “How?” I asked, still trying to locate the enemy. I pressed B, but apparently not fast enough. I know this by the amount of blood that had seeped onto the screen. I looked past Kaidan’s bulging biceps and saw that I got to pick my dialogue. This was a very neat aspect to Mass Effect that I quickly came to appreciate. 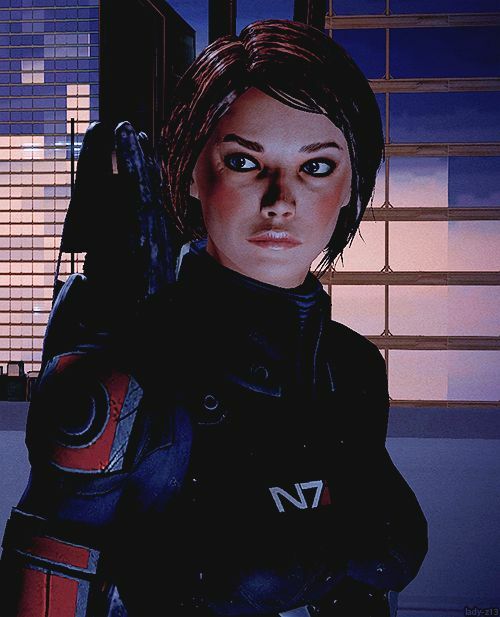 Shepard’s actions have consequences, and are the driving force for the storyboard. What you say and do dictates how things turn out. Very cool. I pick something from the dialogue box and Kaidan says something back to me. Mmm, he has a dreamy voice. Then, after a few minutes, he joins me in the Mako and we’re off to another war-torn place. Now, at this point, my son still has the controller, and I really don’t think he’s going to give it back. “Why don’t I do everything for you – and you can just pick what you want to do and say?” he said while firing a missile at an enemy referred to as the Geth. “That sounds great,” I replied, settling back into the chair. 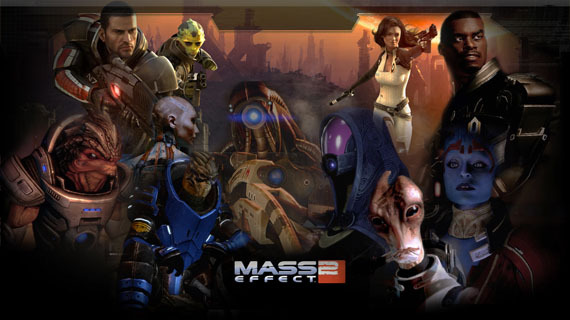 For the next four weeks, my son and I played Mass Effect, Mass Effect 2, and Mass Effect 3. It was brimming with drama, depth, emotion, and morality – touching on subjects such as genocide and the sterilization of a barbaric race. I came to love Shepard, Joker, Garrus, Liara, Miranda, Thane, Kaidan, Grunt, Wrex…all of the characters. But what I loved most was the chance to be involved in my son’s life. As I sat watching him kill a large Krogan, something that Frankie, from The Middle, once said popped into my mind. It was the homecoming episode and Frankie didn’t get that big, public moment she longed for with her son. That’s okay. This private little mother-son moment was just as special. Note: Belinda G. Buchanan is the author of After All Is Said And Done, The Monster of Silver Creek, and the recently released Seasons of Darkness. All are available in paperback or e-book.